Building an ecommerce website can be a daunting task as it needs to be functional and user-friendly. 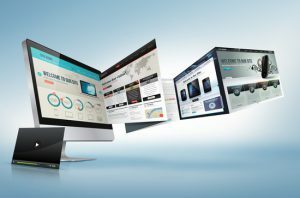 During your ecommerce web design process, you should consider some of the common mistakes businesses make. When you consider these mistakes during planning you can ensure that you avoid them and the decrease in sales that they bring. Using the services of experts such as Rouge Media web designers will eliminate such mistakes. Some businesses do not make it clear as to why a customer should buy their product instead of their competitor. This could be through not showing actual prices for their products to not being clear about what they are selling. If your customer is unable to determine what your website sells they are going to leave very quickly. One of the easiest ways to show what you sell is through images. Having an image of what you sell with a good logo or statement can make the difference between someone staying on the site or leaving. You don’t have to put down your competition to show why customers should buy from you; you simply have to show them why they need your product. Product descriptions are a point where many businesses make a mistake. Some businesses cut down the description too much while others have too much information. The amount of information that you use should relate to the type of product that you are selling. The Nielsen Group conducted research on how people interact with product descriptions and found that consumers relied on descriptions more for certain products. The two products tested were TV’s and bookcases. For the TV’s there was a greater reliance on descriptions when compared to pictures with the opposite true for the bookcases. The research tells us that products which generally look the same like a TV need to have good descriptions that offer insight into what the product offers. However, products where customers need to have a feel of what they look like rely less on descriptions and more on quality images. It is important that you consider your products when you write up descriptions. If you are selling products that are reliant on images you need to manage them correctly. You need to have high-quality images and use them as much as possible. You should not only include the image as a thumbnail with the product description or as part of the full product page. If you are reliant on images include them in the search functionality of the site. Research by Visual Website Optimizer found that having a large image appear with product information when the mouse hovers over increased sales by 9.46%. Having the image in the search listings increased sales by 100% according to research by Peep Laja. When you design an ecommerce website you need to take many points into account. You have to consider how easy it is for your user to navigate the site, but also how well you tell your customers about the products. The use of images is important as are product descriptions and you need to tailor this to what the site will sell. Why Are Print Services So Important For Businesses?